First Battle of Panipat, 1526: Fought between the Lodhis who were ruling over Delhi and Babur, who was an unknown entity then. Babur’s victory in this battle set the ball rolling for Mughal dynasty’s long and prosperous rule in India. Second Battle of Panipat, 1556: Fought between great Mughal ruler Akbar and the Hindu king Hemu, who had captured Delhi, this is well known for being one of the strategic victories of Akbar. 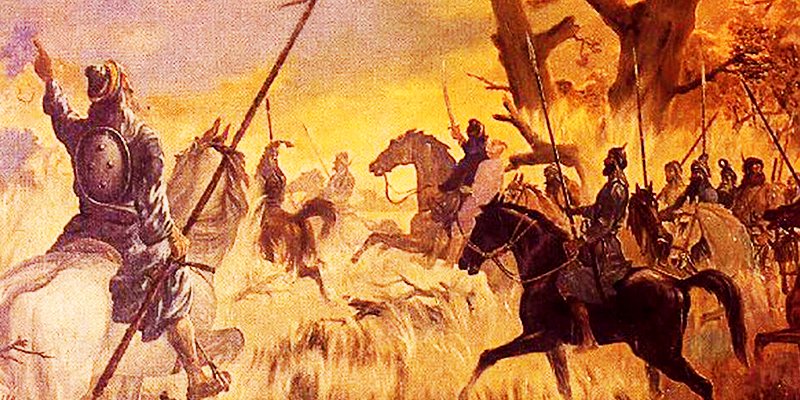 It is said that Hemu was on the brink of victory when an arrow to the eye sent havoc among his soldiers and Akbar recorded a memorable victory thereby prolonging Mughal rule in India. 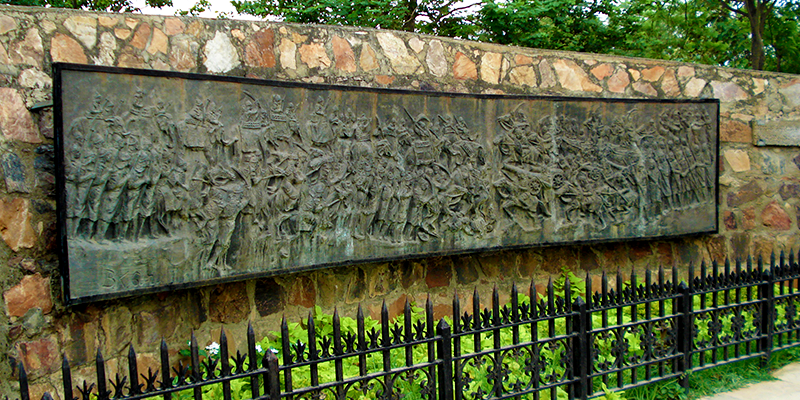 Third Battle of Panipat, 1761: Marathas were a force to reckon with during this era. But this battle fought between the Marathas and the Afghan Pushtun leader Ahmad Shah Abdali completely crushed their aspirations of conquering the North. As you can sense, Panipat is a land which shaped the future of India not once but many times. The best part about this small city, in present day Haryana, is there are many historic monuments that will take you back in time. So, let’s begin our trip through the remarkable historic city of Panipat. 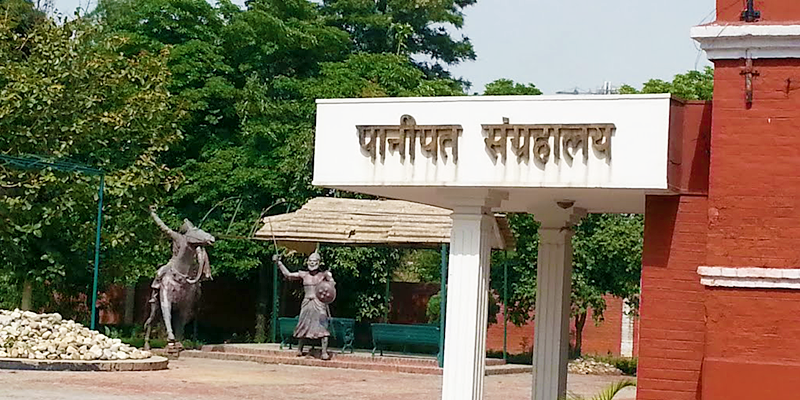 Head start your quest with history in Panipat by stopping over at the famous Panipat Museum and get an insight into all the three battles fought here at greater depths. Home to rare artefacts in the form of antiquities, paintings, sculptures, pottery, jewellery, art and craft, photographs and write-ups, the museum is sure to take you 200 years back in time. He might have lost the battle against Babur but he is still honoured as one of the greatest warriors to have ever lived. Situated near the Tehsil office is a rectangular shaped construction built on an elevated platform. 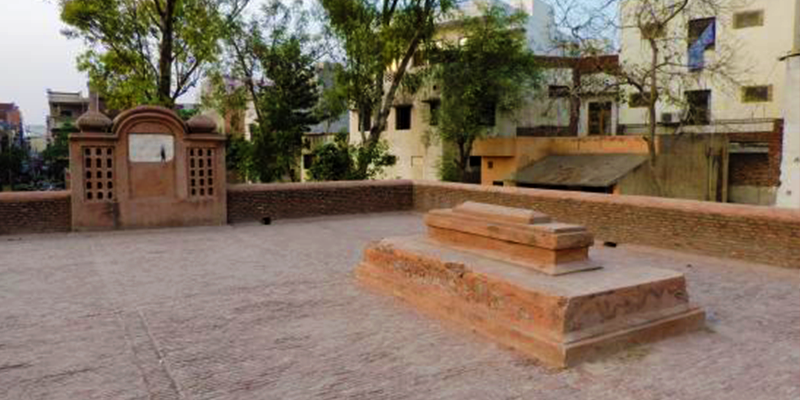 After being killed on April 21, 1526 during First Battle of Panipat, Ibrahim Lodhi was buried here. 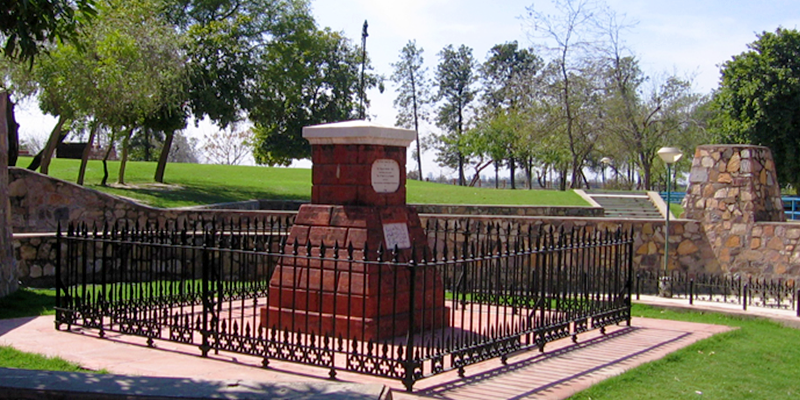 The present day monument was built by the British with Lahori bricks. The amount of history associated with this monument makes it remarkable. 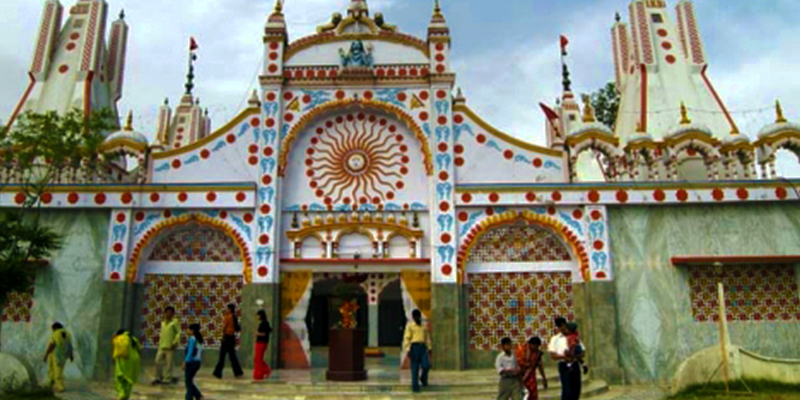 This 250 years old temple, dedicated to Durga, is situated on the banks of a tank. The 18th century temple was built by the Maratha warrior, Sadashivrao Bhau. Sadashivrao, who was the leader of Maratha troops during the Third Battle of Panipat is said to have stayed in Panipat for two months before the battle to train his troops. One day, he found the idol of Devi near the banks of the tank and decided to build a temple around it for daily worship of the Maratha soldiers. Though there was a lot of devastation during the battle, the temple went unharmed and stands today as a celebration of distinct architecture and sculptures. Situated about 2 KM from the main city, is the ever so gracious Kabuli Bagh. Apart from the picturesque garden, there is a mosque within its premises which was built by Babur to commemorate his victory over Ibrahim Lodhi. 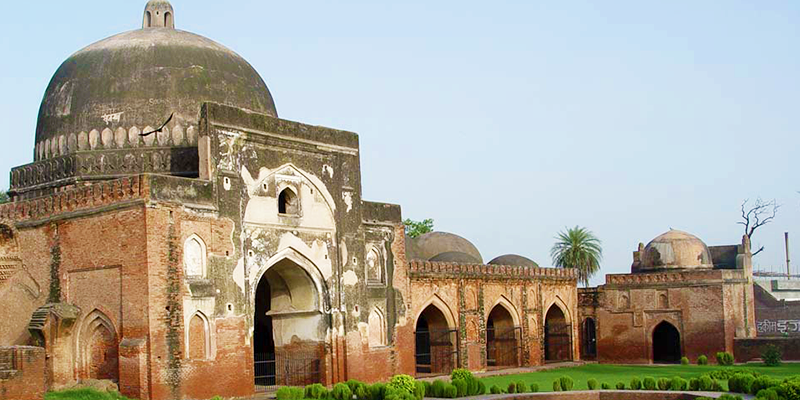 This was the first ever structure built by a Mughal in India and was named after Babur’s wife Mussammat Kabuli Begum. The gateway of this monument was built with red sandstone and has a beautiful arc. During Humayun’s reign a ‘Chabutra’ or platform was added to the garden to celebrate his victory over Salem Shah. The Kala Amb Park is situated 8 KM away from Panipat. There is Kala Amb Tree (or Black Mango tree) within this park, which is supposed to be the exact place where the Maratha army under their commander Sadashivrao Bhau stood during the Third Battle of Panipat. The tree has a darker than normal foliage, hence it was named the Black mango tree. One can feel the reminiscences of the past by standing in front of this tree. At one corner of the park is a red obelisk where Sadashivrao Bhau was killed. This tomb was built about 700 years ago by Khizar Khan, the son of Alaudin Khilji, in memory of Bu Ali Shah Kalandar (one of the most renowned sufis in the history). Legends have it that he performed 36 years of “ibadat” by standing in the water at Karnal. Every Thursday this place is set abuzz by hundreds of devotees offering their prayers. 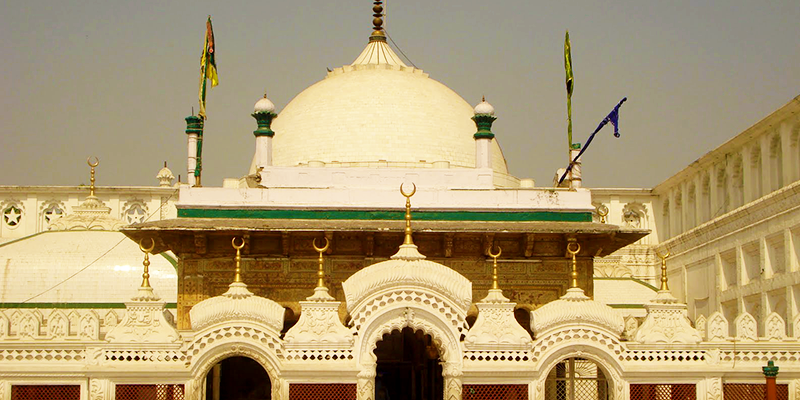 So, make sure you visit this Dargah on a Thursday. Today’s Panipat is far from the ravages of bloody war, it is now known as the weaver’s city. But the city has done well to preserve its past. Ms Saniya Pasricha, You mentioned that the third battle put an end to Maratha ambition to conquer north. Is that true? I heard somewhere that even after the third battle of Panipat in 1761, Marathas continued to rule Delhi and the north until 1802 before they made a treaty with British. Can you please share your expert opinion on this?